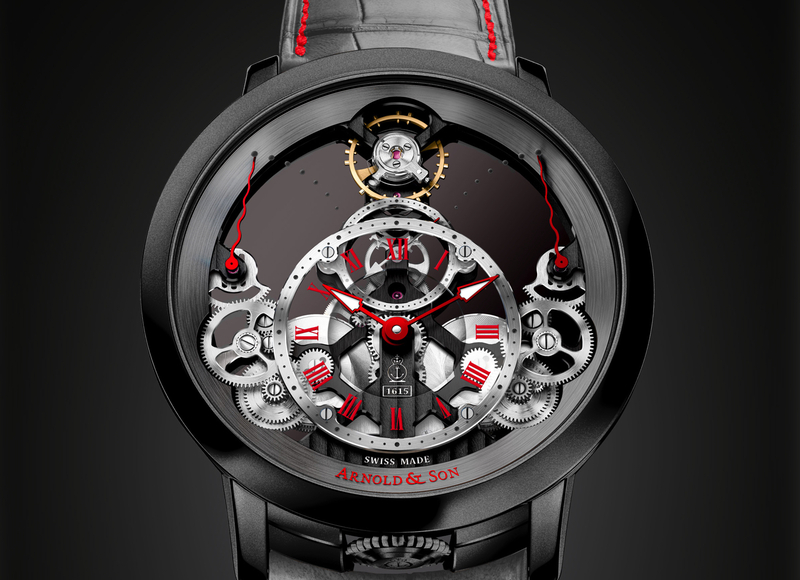 Arnold & Son will debut a new version of their Royal TEC1 timepiece, with a palladium case and guilloché, at Baselworld in March. The bridges are manually chamfered with polished edges, and are decorated with either a fine circular graining or Côtes de Genève rayonnantes. The main plate is decorated with fine circular graining. The chronograph levers are satin-finished with hand-chamfered, polished edges and screws are blued with bevelled and mirror polished heads. A 22K red gold, hand-engraved, skeletonized rotor stands out against the silvery white palladium finish of the movement bridges and main plate. 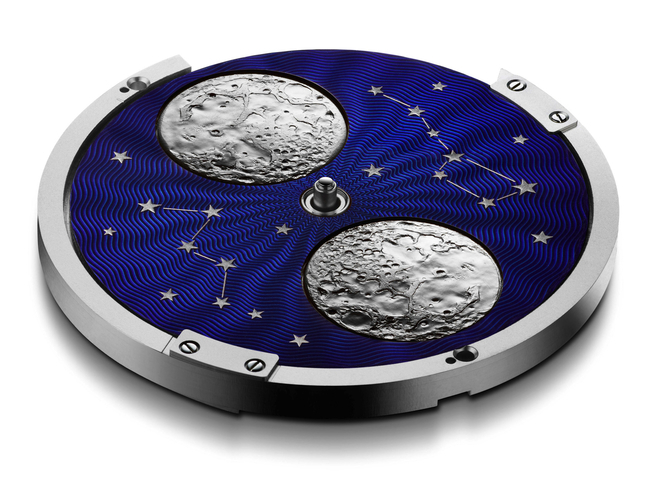 The 45 mm diameter palladium case has a stepped bezel and is fully polished to a mirror finish. 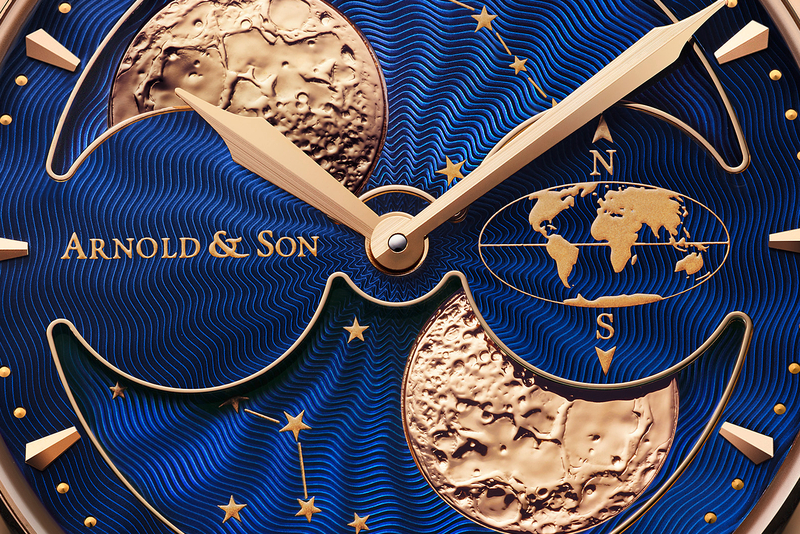 The dial features a black enamel wave guilloché pattern, except between 10 and 2 o’clock, which is where the tourbillon is displayed. The flange has a printed 60-second scale for reading the elapsed time from the chronograph central second hand. Polished, sword-shaped hour and minute hands, and facetted, polished hand-applied hour indices (except at 11, 12 and 1 o’clock), complete the design. 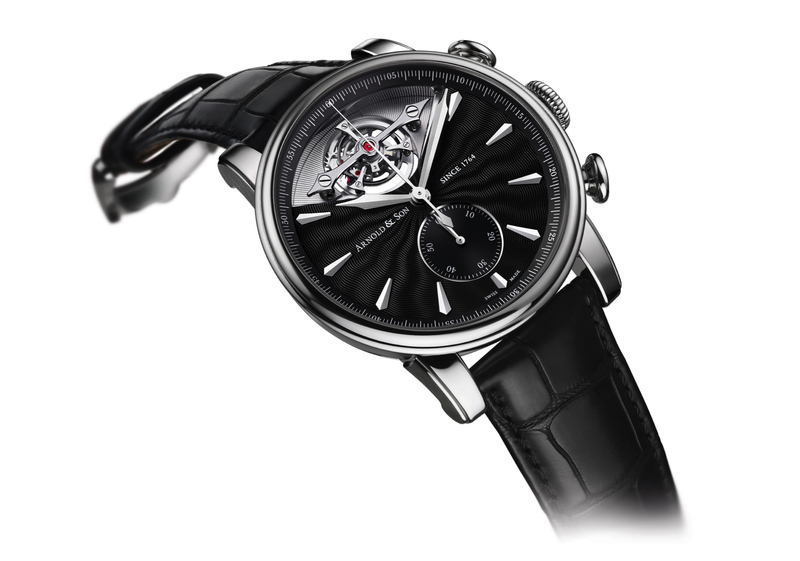 For more, visit Arnold & Son.